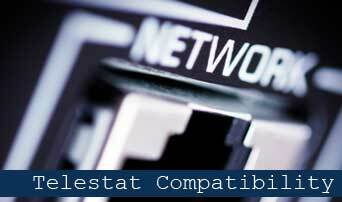 Telestat CompatabilityIs your Telephone System Compatible with Telestat 6? Telestat 6 Call Logging is a high quality suite of Call Management Software, designed to connect to any major Business Telephone System fitted with a suitable call logging port or IP connection. With our assisted Installation Service, your business could be reporting on itemised incoming and outgoing calls within the hour. The telephone numbers of lost calls are also logged into Telestat allowing you to quickly return their call. Our current Telestat 6 Call Management pricing is detailed below. 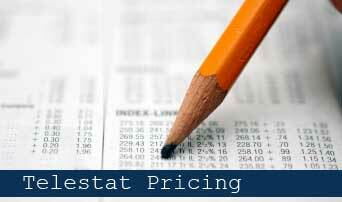 Discounts are available for customers purchasing multiple copies of Telestat. Telestat 6 processes the information collected from your phone system in real-time so that you always have the most up-to-date information in your call management reports. Telestat reports can be printed automatically without user input - for example, an automated end of month report is produced and emailed to the managing director within seconds. You can easily configure the call charge structure for your Business Telephone Company via easy drag and drop features if required. As you’ll expect all elements of the system can be configured including currency and charging periods. This gives Telestat the ability to operate in any country! 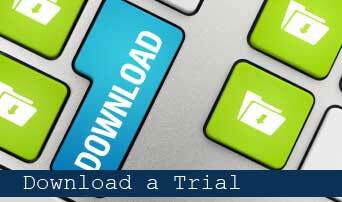 Telestat 6 includes a wide array of reports from a standard bills to more detailed graphical analysis. You simply select the type of report to run, set your report criteria such as the date range, departments / extensions and then click andquot;Generateandquot;. You can save the settings you've entered so that you can run the report the next day, week or month. This can all be achieved by the click of a mouse or even automatically which helps make it a system easy for anyone to use. Reports can also be automatically emailed so you can only be a few seconds away from your organisations call statistics where ever you are in the world. The software also utilises standard industry dBase databases that can allow additional data manipulation via ODBC or Crystal Reports or other third party applications. In addition to printed reports, the application also includes statistical modules that allow you to see real-time data for every extension on your screen. The daily values update as calls are made or received. The extensions displayed can be filtered for an individual or groups of extensions. Statistics can also be displayed as a bar chart - incoming and outgoing call volume, total call duration and average time to answer can all be displayed for each extension. A remote installation option allows a user to install files needed to run the report generator, real-time statistics and graph modules on any machine that is connected to the network – this also allows multiple users if required. With the addition of an LCD/plasma panel you can give your sales office/customer services area an ACD look and feel for a fraction of the cost. Telestat 6 is straight forward to install. Simply configure the software with your phone system’s IP address or SMDR port details and you'll be logging data quickly. You can then select your phone system type from a selection of preset models - you're now ready to display data or run reports. If you have a new system then the set-ups are created free of charge! If in doubt Telephone Engineer offer a full installation service for your Telestat 6 Call Logging software. Together with our price promise, we can guarantee that Telestat 6 is the best value Call Management Software available in the UK. You'll also find that on our website we're happy to publish our system prices - so that there aren't any nasty hidden extras! Call us FREE on 0800 849 9999 for information on Telestat 6 or any of our other products or services.